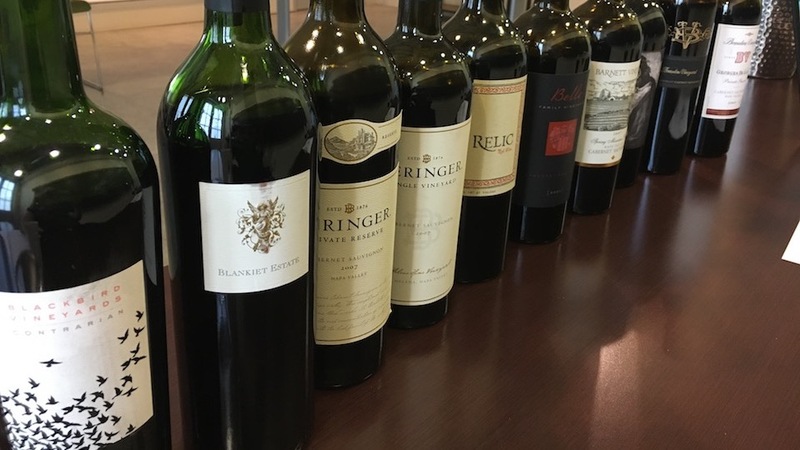 Napa Valley’s 2007 Cabernets were extoled from the start, owing to a textbook growing season without temperature extremes, fully ripe but rarely roasted fruit, the glossy texture and mostly refined tannins of the wines, and their overall balance. Consumers and critics alike raved and, as is usually the case, too many of these wines were consumed in the year or two following their release. But in the past five or six years, several revisionist articles on the 2007 vintage have criticized the early praise as excessive, describing the wines instead as “monochromatic,” “monolithic,” “hollow,” “too ripe,” “too powerful,” even “less good than either ’06 or ’08.” So it was with more than my usual interest that I conducted an extensive horizontal tasting of the nearly ten-year-old ‘07s in March at Napa Valley Vintners in St. Helena. My verdict: not to worry. The better ‘07s are beautiful, sleek Napa Valley examples with outstanding density, glorious fruit and excellent equilibrium. Yes, the wines are ripe and powerful, but as they absorb their baby fat they are gaining in shape and definition. And they are evolving very slowly. I seldom make gross generalizations about vintage quality and then only under duress, but 2007 certainly numbers among Napa Valley’s top four or five vintages of the 21st century. That said, lesser producers have the uncanny ability to underperform even in the best years, and there were many disappointing wines in my 2007 tastings. I should note that my previous horizontal tastings (of vintages 2005, 2004, 1995 and 1994) were by invitation only, but this year all member wineries of Napa Valley Vintners were eligible to participate. The larger group of wines included a few real discoveries but also explains why I tasted more than three dozen wines that did not make the cut for this article (i.e., I rated them lower than 85 points). And to my palate, more of these disappointing wines were unpleasantly green, bitter-edged, overextracted, excessively tannic, clumsily acidified, oxidative, volatile or dried by oak than chunky or over the top. Following a very cold November through February, the weather warmed up in March. Rainfall was well below average through the winter months with the exception of February and virtually stopped at the beginning of March. In fact, the Oakville weather station recorded a total of just three inches of rain between the beginning of March and end of September; 2007 was the first of two consecutive drought years. Budbreak for Cabernet Sauvignon in Napa Valley took place in and around the second week of April and the flowering occurred in late May. There were more days with below-average temperatures than above during the moderate, even slightly cool, summer months and only a few mostly short heat spikes, the most significant of which were in mid-June and at the end of August and beginning of September. The summer witnessed relatively few 90+-degree days—much less 100. Following a few very hot days at the end of August and beginning of September, much of September was quite cool, and this turn of events slowed down the final stage of ripening and resulted in a later Cabernet harvest than had been expected. Another few very warm days toward the end of the month helped to finish off the ripening process in most sites without causing a serious drop in acidity, and most growers were able to pick at their leisure. Cool, showery conditions in the second week of October caught some mountain fruit hanging, but by then the valley floor had mostly been harvested. Even the later pickers mostly finished under good conditions, and for the most part the precipitation did not swell the berries. Early on, the 2007s were so fleshy and seamless that their substantial ripe tannins seemed to melt into their compelling fruit. So even some of the heftiest wines gave early pleasure. But it was also clear from that outset that the better ‘07s had the tannic structure, healthy pHs and material for a long and positive evolution in bottle. In fact, although—or perhaps because—the better wines were balanced from the start, they are evolving slowly and will once again prove what a pity it is to drink California’s top reds too early. Although the flowering had been successful, ultimate quantities of fruit were moderate as the dry conditions reduced berry size. Alcohol levels in the 2007s were typical by modern Napa standards for a ripe year, which is to say that a majority of wines are in the 14.4% to 15% range, with some even higher than that. As my extensive tastings this spring demonstrated, the better 2007s are still very deeply colored and developing at a leisurely pace. Aromas and flavors tend toward primary black fruits; the wines are still tightly wound and energetic and the better bottles still have some softening up to do. They are frequently fleshy but rarely heavy; they possess considerable power and some of them still come across as a bit chunky. While relatively few wines were overtly jammy or overripe, the more expensive wines are mostly in the lustrous modern style of New World Cabernets, whose makers go to great lengths to avoid green aromas and flavors through, in theory at least, precise harvesting at ideal ripeness. Some ‘07s struck me as a bit port-like in their density, medicinal black fruit intensity and structure, but the best examples in this style have enough supporting material and life-affirming acidity. And many wines show the kind of tobacco leaf and herbal elements that add lift and bring future complexity. Still, I tasted too many bottles that did not capitalize on the ripeness of this lovely vintage. The lesser wines generally fall into one or more of the following categories: too green, weedy, lean, hard or dry; overwhelmed by oak; bitter-edged, in some instances due to clumsy acidification, in others to underripe fruit; oxidative; high-toned; too tannic, sometimes owing to excessive extraction during vinification; porty and overripe, but just as often showing and overripe/underripe quality due to a wide range of fruit ripeness; and simply gritty and unrefined. Many bottlings were unacceptably herbal or peppery, or finished with underripe tannins. And of course there were wines with off aromas, whether due to bad oak, brettanomyces, careless topping-up of the barrel or other factors. As I mentioned above, I tasted more than three dozen wines that were disappointing, if not virtually undrinkable. To provide broader context, I have included a few outstanding wines made from California vineyards not in Napa Valley. 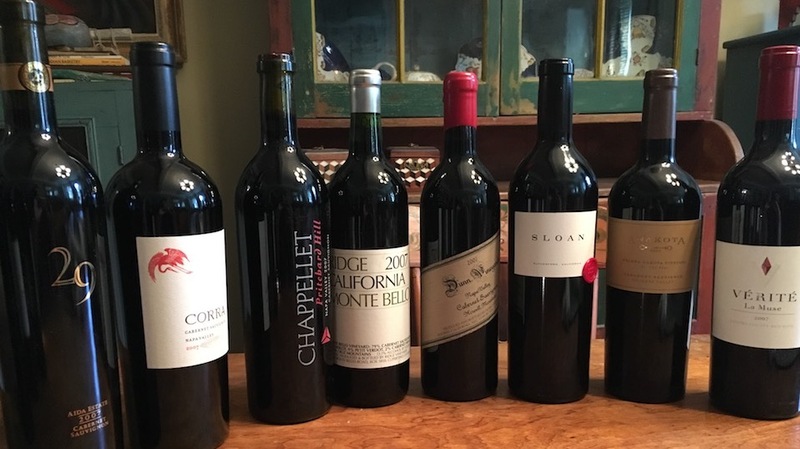 My tastings this spring, most of them conducted under perfect conditions at Napa Valley Vintners in St. Helena in March and the rest chez moi in New York City, also included numerous Bordeaux blends and a few wines based almost entirely on Merlot or Cabernet Franc. In addition, I have included notes on the five 2007 Bond wines, which I tasted in March at the winery in the course of a spectacular vertical tasting of all of the wines released under the Bond label to date (notes on this event will be published soon on Vinous). However, during my full day of sensory overload at Bond, I forgot to ask to taste the 2007 Harlan Estate, which I rated 97 points the last time I tried it several years ago. I also added notes on a couple additional ‘07s that I tasted in the course of my numerous vertical tastings in 2016 and 2015 but did not have the chance to try again this spring. 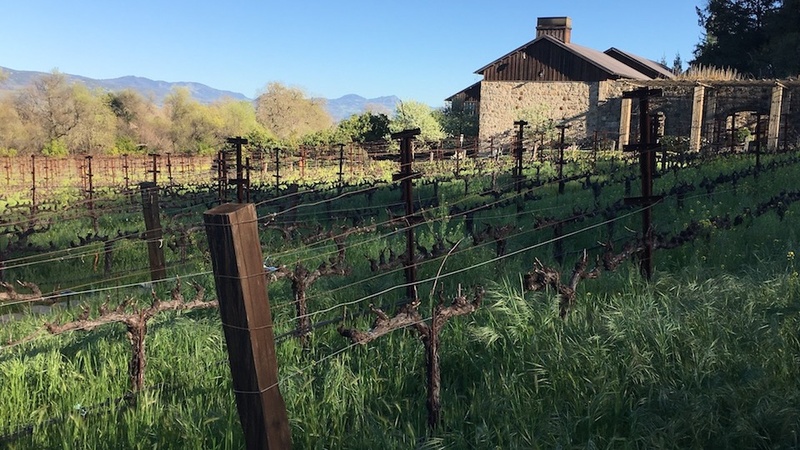 One additional note: Two wineries that hosted extensive vertical tastings for me this spring (Seavey Vineyard and Bryant Family Vineyard) also sent samples for my horizontal tasting, so my notes in this article are based on different bottles. Finally, I decided not to publish a note on the 2007 Dunn Howell Mountain as my single bottle of this wine was clearly not right.